Developer Adam Bell presented an excellent talk on creating synthesizers in Swift. Recorded at the NSSpain conference in Spain, you can view the talk above. Adam walks you through an introduction to audio theory and synthesizers. 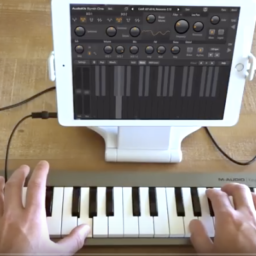 Then, he demonstrates how you can create simple Synthesizers using Swift & AudioKit. iOS is a fantastic platform for building musical instruments. Give it a try with AudioKit.